Before you know it, short, sweet summer will be slipping through your fingers, apples will be ripening on the tree and the class bell will be ringing once again. At The Fatted Calf, they are sharpening their knives and preparing their lessons for their autumn class series. Learn the basics of curing in the salumi class or learn how to grind and case your own sausage in the sausage 101 class. 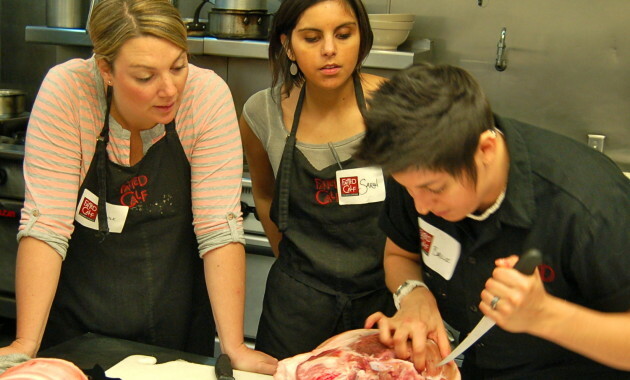 Head back to school this fall at The Fatted Calf to bone up on your meaty skills.